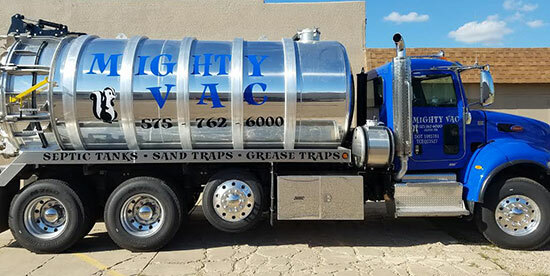 Mighty Clean Portable Toilets is proud to offer superb customer service in the septic and portable toilet industry. Since our humble beginnings nearly 20 years ago, we’ve become specialists in the business. Our goal is to offer our customers the best options, with the best service, at the best price. We know that there are several reasons for needing a porta potty in Clovis, NM. We also know that you want the rental process to be swift, simple and affordable. So, whether you’re in charge of a large construction site, are in need of restroom facilities for an outdoor town celebration, or just want to keep the traffic from your family barbeque outdoors, we have a unit that’s perfect for you! We’ve been in the industry for over 20 years now and hold ourselves to a high standard of quality and transparency. You’ll find that our units are clean and sanitary and designed with aesthetics in mind. We’ve been in business for 20 years. We offer servicing around your schedule and specifications. We’re available for last-minute services and rentals. We’re Pumper and EPA Certified. We offer a variety of rentals to fit your specific needs and budget. If you’re in need of septic services or a portable toilet in Clovis, NM, leave your information here. We’ll be in touch shortly. "Very fast service. I called and Leroy was here within 30 minutes. Cleaned my septic tank. Thank you, Leroy"